It’s been a good year so far for horror, following an excellent showing in 2017. As the final awards for 2017 releases are considered, a few familiar names seem to be surfacing. Hellblade: Senua’s Sacrifice, Night in the Woods, and What Remains of Edith Finch were all contenders for our own Game of the Year, and all had a great showing at this year’s BAFTA Awards. Night in the Woods is a hand-drawn game about the slow decline of middle America, and the insidious ways that impacts the mental health of youth growing up in dying towns. The dialogue choices, colloquialisms, and relationships among the characters give the game a depth that few others reach when talking about depression. As someone from Nowhere, USA who has watched friends fall victim to loss of optimism as our hometowns die, it feels authentic. The upbeat music and anthropomorphic woodland creatures keep things from getting too heavy, even as the narrative takes a deep dive into unsettling territory. 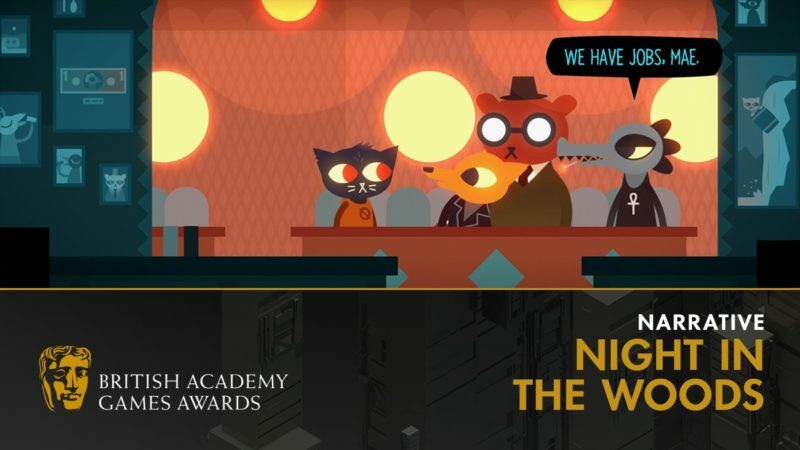 Fittingly, Night in the Woods won the 2018 BAFTA Award for Narrative and was nominated for Games Beyond Entertainment alongside Hellblade: Senua’s Sacrifice. What Remains of Edith Finch is another deep-cut narrative, focusing on grief and the myriad ways loss changes the lives of those left in its wake. It was a favorite among our staff and received the first 10/10 review of 2017. Constant changes in storytelling and controls keep the short stories within the game defined, and the shift from one character to the next keeps the short overall length from feeling cheap. 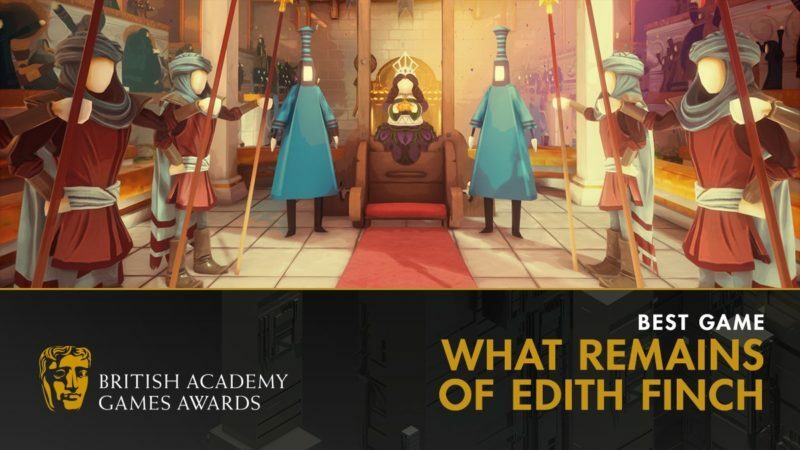 While What Remains of Edith Finch didn’t win our own Game of the Year award, it is well deserving of the BAFTA 2018 Best Game Award. Hellblade: Senua’s Sacrifice may not have won Best Game, but Ninja Theory is heading home with five other awards. They did win in the category for best British Game, as well as for Artistic Achievement, Audio Achievement, Performer, and Games Beyond Entertainment. While the visual and audio work in Hellblade is stunning, the award for performance is a wonderful recognition. Senua actress Melina Juergens stepped into the role while working as Ninja Theory’s video editor. That casting decision is arguably the driving force behind all of the awards Hellblade has won, tying the entire story together with a believable, lovable portrayal of Senua’s fragile character. The audio design is fantastic, as well, giving life to the characters within Senua’s mind who go mostly unseen throughout the game. With careful attention to audio detail, these characters become recognizable, individual companions on Senua’s journey into Hel. 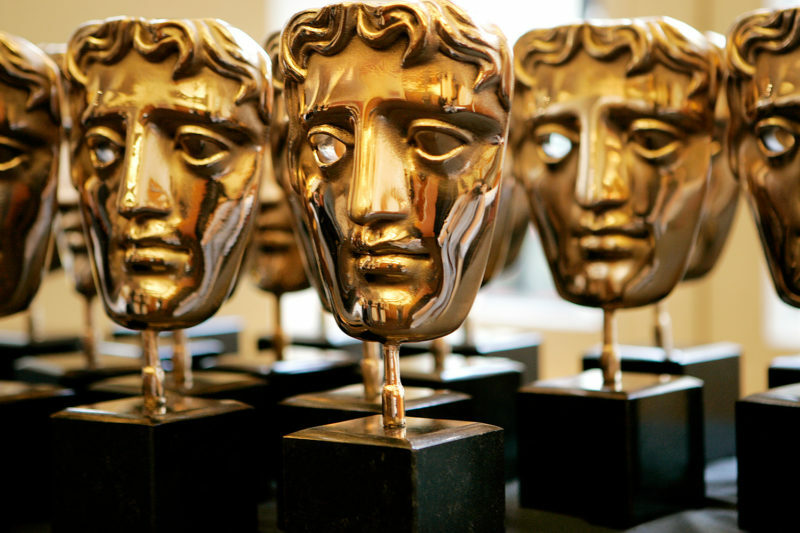 The BAFTA Games Beyond Entertainment category is new in 2018, and was created to recognize games with social impact beyond their consumable entertainment value. Hellblade: Senua’s Sacrifice and Night in the Woods were both nominated for their impact on the social narrative surrounding mental health. Both games were crafted with careful attention to detail, intentionally avoiding tropes and harmful stereotypes. Hellblade: Senua’s Sacrifice also involved the input of healthcare professionals and people living with psychiatric disorders. Both games should be required media in the ongoing conversation about how to respectfully portray characters with mental illness, as they represent two perfect examples of how to approach mental illness as a neurotypical developer. A brief BAFTA interview with both teams about their games’ social impact is available; follow this link for Hellblade and this one for Night in the Woods. It is worth noting that all three of these games have well-rounded female character as their lead. From Senua’s battle for redemption, to Edith’s journey to relate to her history, to Mae’s quarter-life crisis, each of these characters is relatable. They are multidimensional, with stories and motives that make sense. They feel like real people, which makes them approachable for players of all genders and ages. If ever there were a collection of awards to prove that writing well-rounded female leads for games is a worthwhile endeavor, the 2018 BAFTA Awards is it. Hopefully, the industry takes note and continues the trend of giving female characters as much depth and personality as their male counterparts. Congratulations to the development teams at Finji Co, Giant Sparrow, Annapurna Interactive, and Ninja Theory.